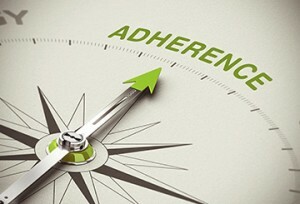 How do we keep patients adherent? It’s the billion-dollar question in the healthcare industry. And the truth of the matter is there isn’t one simple answer. 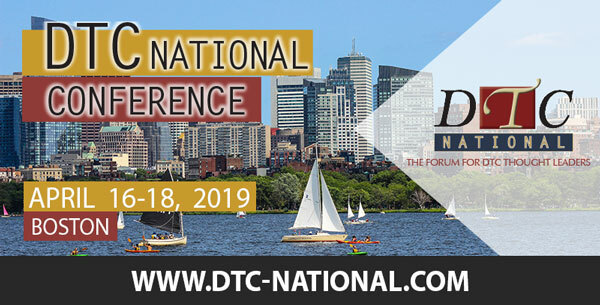 In the past year alone, nearly 75% of adults age 40 and older with a chronic condition admit to not adhering to their prescription medication treatment. As healthcare marketers, we focus our efforts on getting patients to the doctor. We’re hoping to motivate them to make an appointment. We provide tools and information to talk to their doctor about medication. We encourage them to ask for a particular brand by name. We push the HCPs to prescribe it. And finally, we hope that patients fill it and actually take the medications as prescribed. It’s a significant investment – time and money. Yet, after all of these efforts, only 25% of these patients are taking that medication as directed. It’s apparent; we have some work to do. going to invest in our CRM database” or “We’re using text message reminders” or “We’re utilizing SEO to keep our brand top of mind”. Good! These are great tactics. But by merely implementing a tactic, you’re checking a box to say you’re driving adherence. Is that enough? We need to be better and smarter about how we are keeping patients adherent (remember only 25% of patients are adherent). We cannot only be thinking tactics. The reality is, keeping a patient adherent requires much, much more. To keep a patient adherent to their treatment, we need to be their partner and support them, and also look at the key motivators in a patient’s life: spouse, parent, child, sibling, boss, friend, HCP, and many more. And who is their biggest personal motivator? 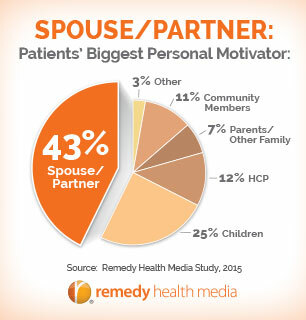 It is their spouse or partner as shown a recent study conducted by Remedy Health Media with Princeton Survey Research Associates International (PSRAI). (See related pie chart.) When it comes to healthcare, we rely on the people we are closest to, our support systems, and the people we trust. It truly takes a village to motivate a patient to stay adherent and committed to their health. 10 years ago my husband complained that he had terrible heartburn. It was a daily battle. He attributed it to too much eating and too much drinking (at 25 years old, I’m sure that was the case). But then I explained, although it felt like a daily discomfort, heartburn/GERD can have long lasting and damaging effects. I urged him to see a doctor. After he reluctantly made an appointment, to be supportive, I printed out 10 questions for him to ask his doctor, along with a medication to request. At the time, I’m sure he thought I was slightly annoying with my persistence and I am certain there was some eye rolling when I handed him the printouts… but he took them. Then after a productive and successful doctor visit, he was given a prescription, and he’s been taking the same medication ever since. Even today, to keep him adherent, I ask, “Did you take your pill today?” Although it’s his health, I’m a part of it, I’m connected, I’m supportive. I feel responsible. We are responsible for our own health, and we also feel responsible for somebody else. It’s what connects us. It relates us. We rely on each other. Health is incredibly emotional. It’s happy, it’s sad, it’s scary, it’s confused, and it’s triumphant. It is real. We’re an industry dedicated to helping people live better, healthier lives – yet we get bogged down in the tactical solutions rather than the big idea of how we can create change and embrace patients. I challenge you to put down your excel spreadsheet. Look beyond the media spheres of TV, print, digital, mobile/tablet, etc. Stop for a minute. Take a step back. Be human and put a relatable, personal approach to adherence. Challenge yourself to inspire millions of people. It takes a village. But we will get there. As Director of Strategic Accounts at Remedy Health Media, Alison Sheerin is responsible for building collaborative partnerships and developing strategic patient marketing solutions with Remedy’s healthcare partners. Starting her healthcare career at WebMD, Alison initially led a client services team and then transitioned into a Sales Executive role. 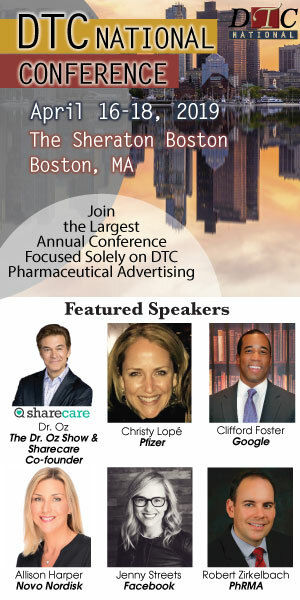 Here she focused on growing pharmaceutical business with media agency clients for the company. Alison is a graduate of the University of New Hampshire with a B.S. Degree in Communication.